A UTI is when bacteria gets into your urine and travels up to your bladder. UTIs cause more than 8.1 million visits to health care providers each year. 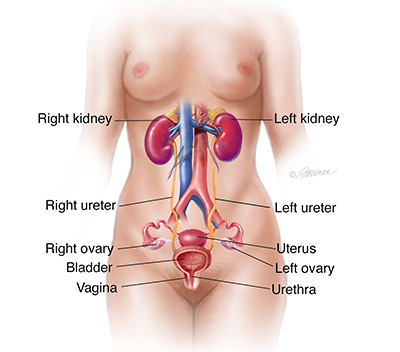 About 10 in 25 women and 3 in 25 men will have symptoms of at least 1 UTI during their lifetime. 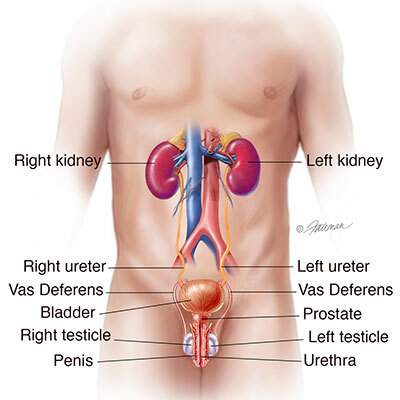 The kidneys are a pair of fist-sized organs in the back that filter liquid waste from the blood and remove it from the body in the form of urine. Kidneys balance the levels of many chemicals in the body (sodium, potassium, calcium, phosphorous and others) and check the blood’s acidity. Certain hormones are also made in the kidneys. These hormones help control blood pressure, boost red blood cell production and help make strong bones.